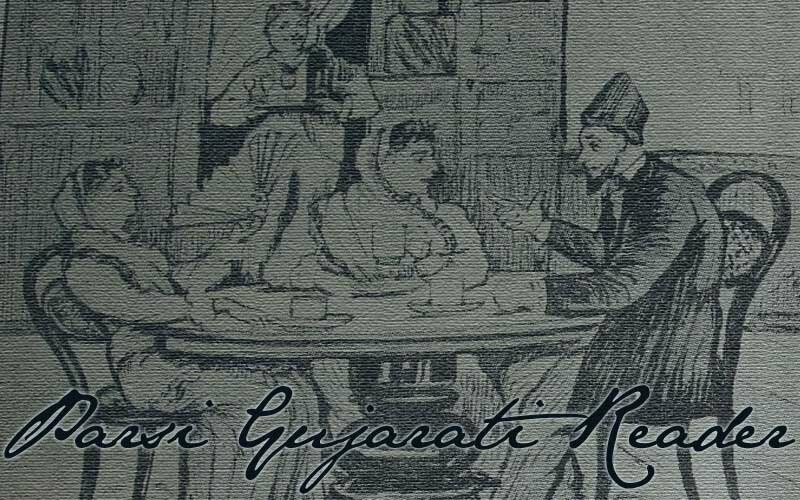 This page is designed to help researchers interested in learning to read Parsi Gujarati sources (i.e., documents in Gujarati language written by members of the Parsi Zoroastrian community dating from the 15th - 20th centuries AD). This course assumes that you have attained a basic familiarity with Modern Standard Gujarati, from such sources as Raymond Parmar's A Step by Step Course towards Mastering Gujarati (Anand, Gujarat Sahitya Prakash, 2004, available for purchase here), Rachel Dwyer's Teach Yourself Gujarati (soon to be reprinted, available for pre-order here), or H. M. Lambert's Gujarati Language Course (Cambridge, Cambridge University Press, 1971, out of print). Attempts will be made to cross-reference grammatical points in the modern language (late 18th century-present) with George Cardona's A Gujarati Reference Grammar (Philadelphia, University of Pennsylvania Press, 1965), abbreviated GRG. For Old Parsi Gujarati, cross-references will be to T. N. Dave's A Study of the Gujarāti Language in the 16th Century (V.S.) (London, The Royal Asiatic Society, 1935), abbreviated as SGL16, and to Harivallabh Bhayani's ગુજરાતી ભાષાનું ઐતિહાસિક વ્યાકરણ (Gandhinagar, Gujarati Sahitya Parishad, 1988), abbreviated GBhAiV. The glossaries contained in each lesson of the reader should be supplemented with the use of dictionaries, especially for very common words. The Gujarati Lexicon is the most convenient and can be installed on your computer. The compendious Bhagvadgomaṇḍal is available online here. This is very much a work in progress. I will try to maintain and update it at the rate of one reading a week (which may be very optimistic). Please do let me know if you notice any mistakes. Script, Transliteration, & Orthographic Notes for pre-Standardized Gujarati. Cumulative Glossary (updated whenever a reading is added). Five Easy Pieces from Pārsi Prakāś. A Love Scene from Duḥkhi Dādibā.